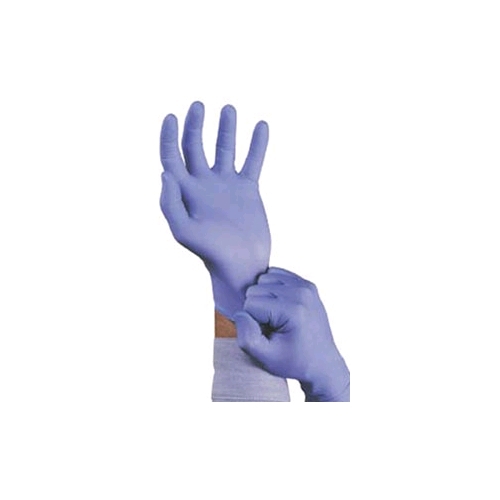 Ansell TNT Blue Disposable Nitrile Gloves Lightly Powdered on Sale Today! Ideal for manufacturing, light-duty maintenance and cleanup, intricate parts handling, lab analysis/technical work, and automotive. Ambidextrous and durable, yet soft for improved comfort. Gloves are powder-free, feature textured fingers for exceptional grip, and have a rolled cuff. The component materials comply with FDA regulations for food contact. Gloves are static-dissipative. Length: 24.1cm (91/2").